According to a study conducted by researchers at McMaster University, trans fats, but not saturated fats, are associated with a greater risk of death and coronary heart disease. “For years everyone has been advised to cut out fats. 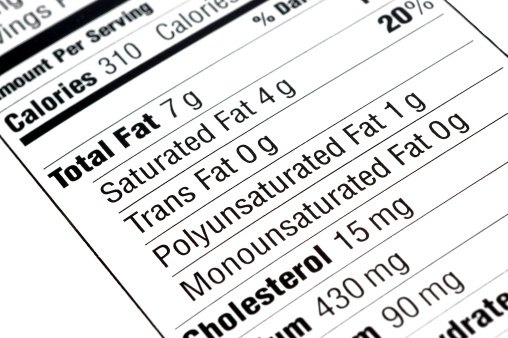 Trans fats have no health benefits and pose a significant risk for heart disease, but the case for saturated fat is less clear,” says the study’s lead author, Russell de Souza. Current dietary guidelines recommend that saturated fats be limited to 10% or less and trans fats to less than one percent of energy to reduce the risk of stroke or heart disease. For the study, researchers analyzed the results of 50 observational studies that assessed the link between the health outcomes in adults, saturated fats, and trans fats. The team found no direct link between a higher consumption of saturated fats and death, cardiovascular disease, coronary heart disease, or type 2 diabetes. Researchers did find that consumption of industrial trans fats was associated with a 34% increase in death, a 28% increased risk of mortality from coronary heart disease, and a 21% increase in the risk of coronary heart disease. The team stresses that their results are based on observational studies, so no decisive conclusions can be made about cause and effect. According to de Souza, dietary guidelines for trans fats and saturated fats must consider the effect of replacement dietary options. “If we tell people to eat less saturated or trans fats, we need to offer a better choice. Unfortunately, in our review we were not able to find as much evidence as we would have liked for a best replacement choice, but ours and other studies suggest replacing foods high in these fats, such as high-fat or processed meats and donuts, with vegetable oils, nuts, and whole grains,” states de Souza. “Trans fats, but not saturated fats like butter, linked to greater risk of early death and heart disease,” ScienceDaily web site, August 11, 2015; www.sciencedaily.com/releases/2015/08/150811215545.htm. de Souza, R.J., et al., “Intake of saturated and trans unsaturated fatty acids and risk of all cause mortality, cardiovascular disease, and type 2 diabetes: systematic review and meta-analysis of observational studies,” BMJ 2015; 351: h3978, http://www.bmj.com/content/351/bmj.h3978.